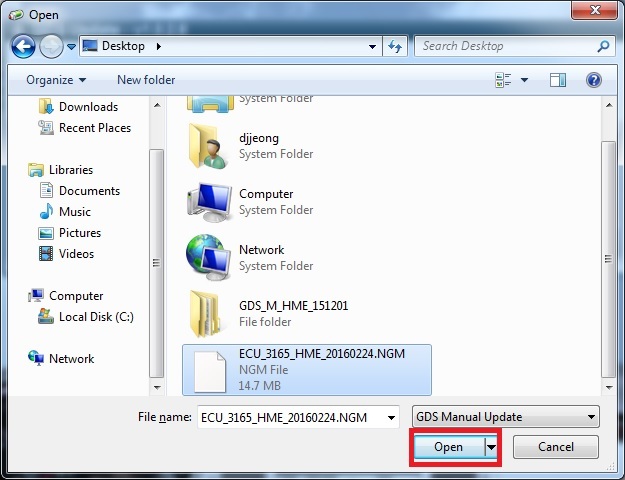 When ECU event file is not updated on GDS, you can update ECU event file on GDS by Manual. 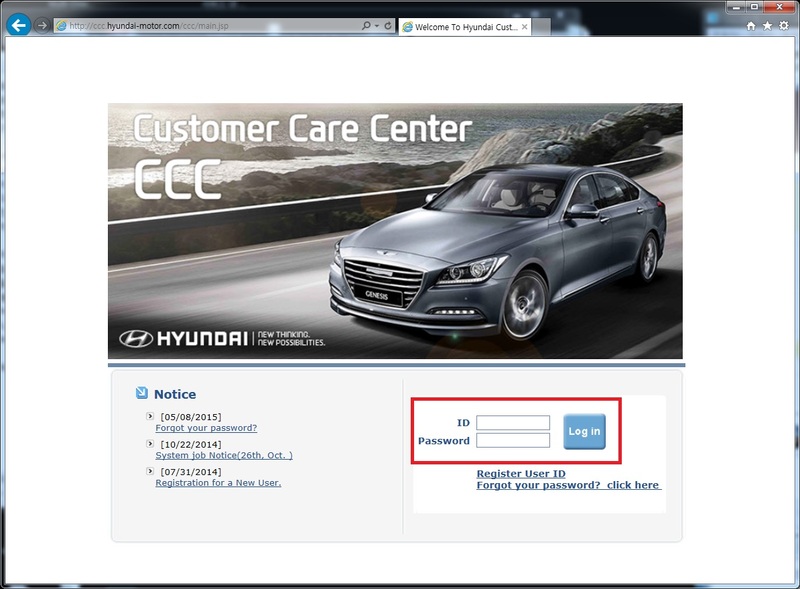 Log in GSW Hyundai(https://ccc.hyundai.com) KIA (https://www.kia-hotline.com/login.tiles). 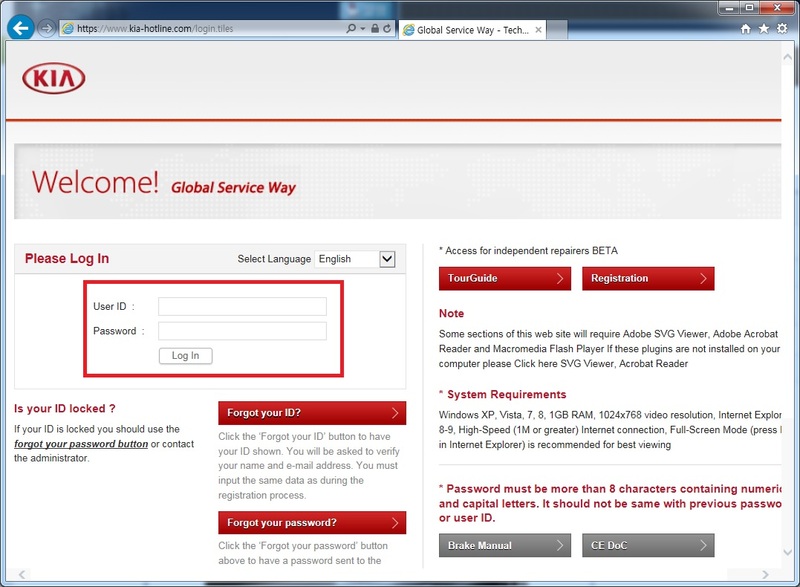 Go to [SSIS- GSW- ECU Upgrage]. Click the event that you want to update. Click and download the ECU event file[XXXXXX.NGM] to desktop. 6. Click [File] to find the ECU event file to be updated. 7. Select the downloaded file(XXXXX.NGM) and click [Open]. 8. Click [Start] to update. 9. It is being updated. 10. 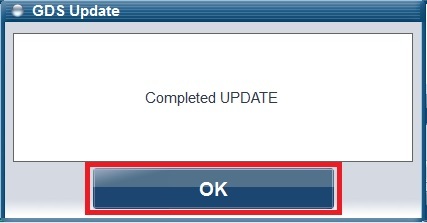 When it is complete, click [OK]. 11. 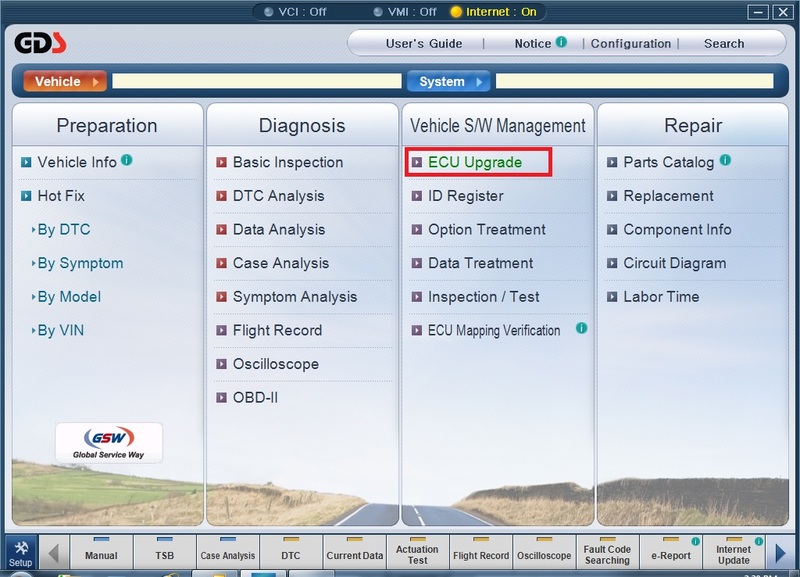 Run GDS and perform ECU Upgrade.